Every trip to the garage costs women £45 more on average than men, a new study has revealed. The research, conducted by online marketplace ClickMechanic, examined 182 independent garages across 10 cities, sending male and female mystery shoppers to query the cost of a replacement clutch for a 2011 Ford Focus. In eight out of 10 cities, male shoppers found that on average they were quoted £571, whereas the women were stung by the so-called 'female premium', which left them with an average price of £616 – some eight per cent dearer. Garages in Birmingham charged the highest 'female premium', with women customers being charged almost £140 more than men, a difference of 31 per cent. Only mechanics in Sheffield and Edinburgh quoted cheaper clutch repairs to the female mystery shoppers. The Scottish city showed the higher difference – 19 per cent – offering women an average price of £629, compared to £746 for the men. Coincidentally, these prices were on the higher end of the price scale for a repair, which industry standard guidelines recommend should cost the customer £514. Shockingly, just six per cent of surveyed garages gave a consistent quote to both male and female shoppers - an unwelcome surprise to female car owners, said Andrew Jervis, co-founder and CEO of ClickMechanic. 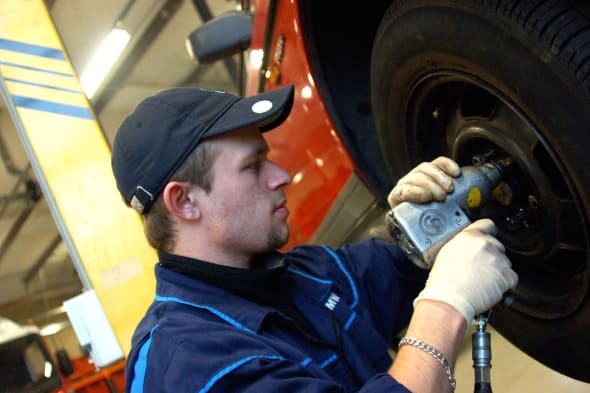 He added: "While the vast majority of mechanics strive to provide honest and reliable quotes, these results show that there is a worrying minority of garages failing to do so. There is a desperate need across the industry for transparency and consistency in price in order to establish trust with consumers of both sexes." Have you ever felt as though you've been ripped-off by a garage? Share your experiences in the comments section below.